Nokia’s Lumia 930 is currently enjoying its European launch and its manufacturer is hoping to drum up publicity for the phone in the weirdest way possible. As a follow on from last year’s lightning experiment, Nokia set out to create the world’s largest battery using apples and potatoes. Inspired by the classic potato battery experiment, Nokia wondered how many potatoes (and apples, I guess) it would take to power its new Lumia 930 smartphone. The answer is 800. 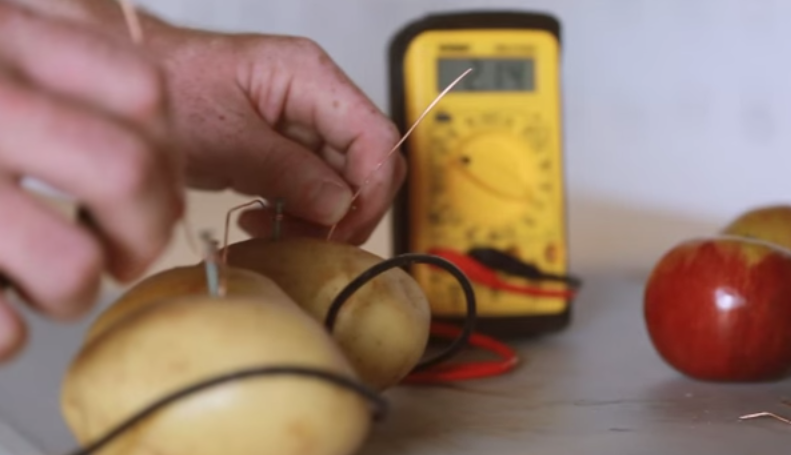 It takes 800 apples and potatoes to organically charge the Lumia 930.